The use of fiber optics in the avionics and commercial airframe markets is rapidly expanding. The obvious benefit for flight applications is significantly lighter weight, compared to traditional copper cables. There are also considerable security advantages of reduced EMI and RFI interference as well as increased bandwidth and lower power consumption. 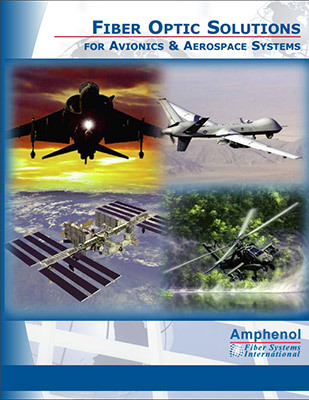 Amphenol Fiber Systems International (AFSI) has been an industry leader in providing harsh environment fiber optics for military and aerospace applications since 1993. In addition to AFSI’s products for the military shipboard and ground systems markets, we also offer an extensive product suite for the military avionics, space and commercial airframe markets. AFSI products have been incorporated in many platforms including the JSF, Global Hawk, Paveway, Predator, B-52, P-8, Orion and the International Space Station (ISS). 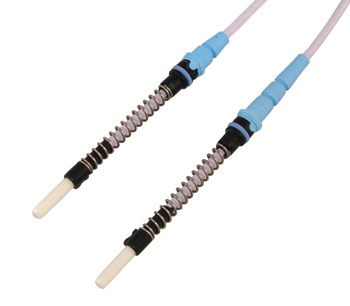 AFSI offers a one-stop shop for fiber optic contacts, connectors, cable assemblies, training, tools and complete systems to support these markets. 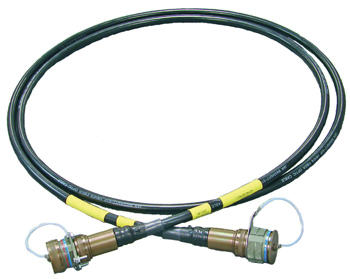 Amphenol can now offer ARINC 801 compliant termini for use in both cylindrical and rectangular connectors in commercial and military applications. 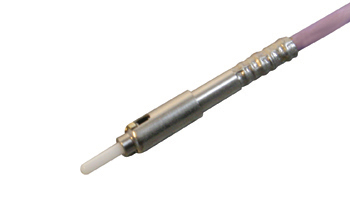 Amphenol Fiber Systems International (AFSI) offers the Lumi?re fiber optic terminus for commercial airframe, avionics and aerospace applications.